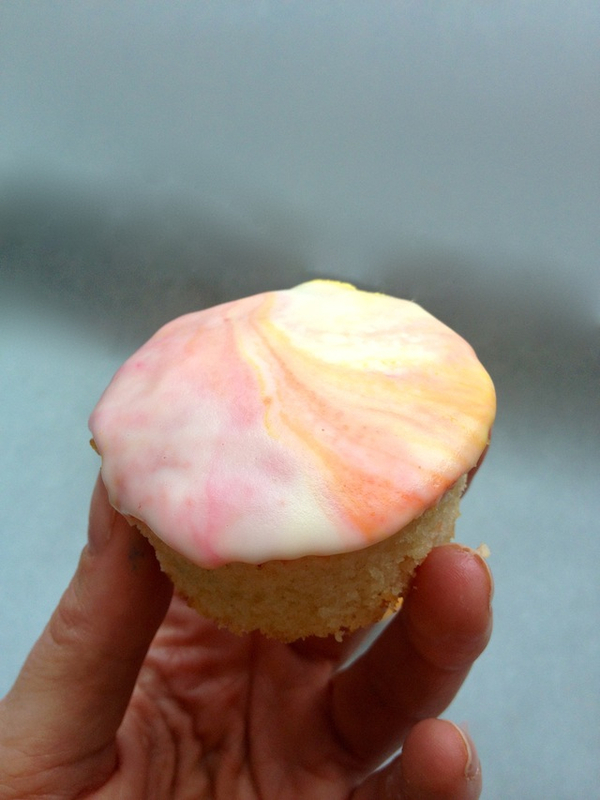 How-To Marble Cupcakes: The Easiest DIY Marbled Frosting Ever! / Hey, EEP! 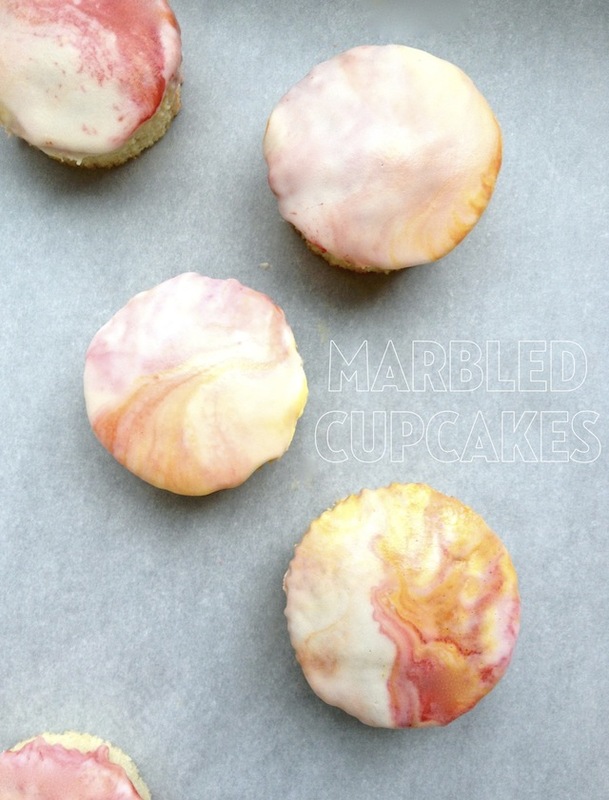 How-To Marble Cupcakes: The Easiest DIY Marbled Frosting Ever! Hey there! Happy Friday. I'd love to share a quick how-to with you, if you're interested. I've been obsessing over all things marbled—like this DIY marbled table, homemade marbled clipboard, these marbled gift tags, etc—so I wanted to figure out a super-simple way to marble cakes at home. The trick: Store-bought frosting. 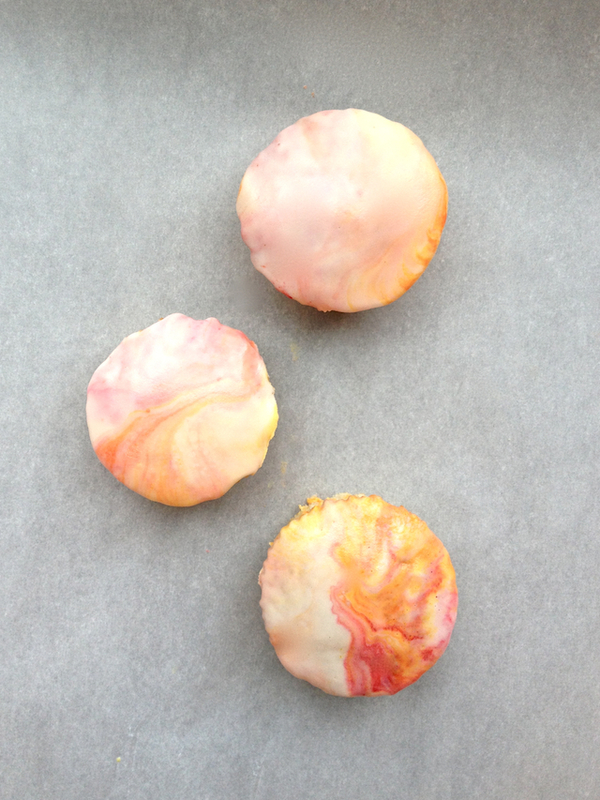 DIY MARBLED FROSTING1. In a microwave-safe bowl, melt 1 tub store-bought vanilla frosting in the microwave on high, 30 seconds or until melted (separate into 2 bowls if you'd like multiple marbling colors). 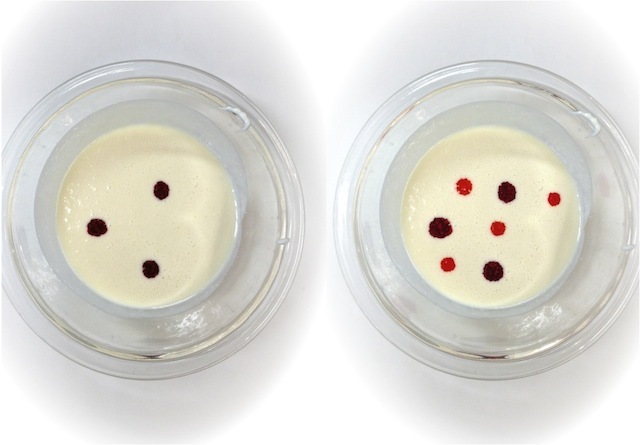 Add a few drops of 2 complimentary colors of food coloring. 2. 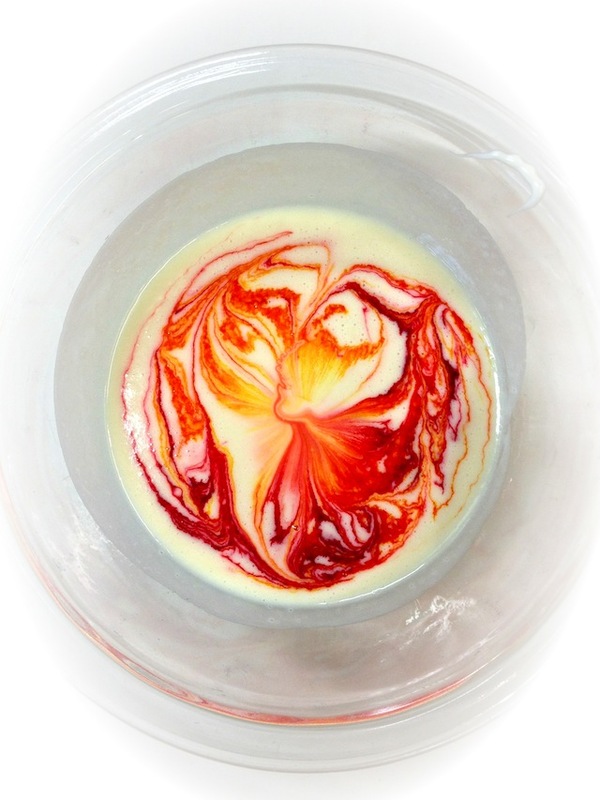 Swirl the food coloring together slightly using a toothpick or knife. Don't over do it or you'll lose the marbling effect! If you do, swirl in more dye (you'll just have a colored-base). 3. One at a time, dip cupcake tops into the frosting (swirling slightly). Transfer to wire racks and set aside 15 minutes or until set. 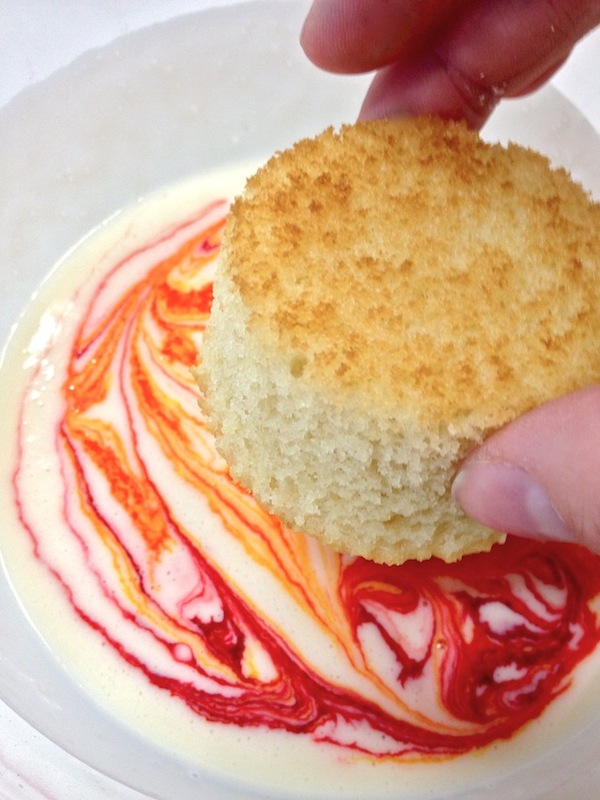 Reheat and/or swirl more food coloring into the frosting, as needed.